If you’re looking for a ball of energy Coach Ginette has got you! Born with a competitive spirit Coach Ginette never turns down a challenge and would encourage you to do the same. She will work with you to help you lift heavy, avoid injuries and reach new fitness goals. 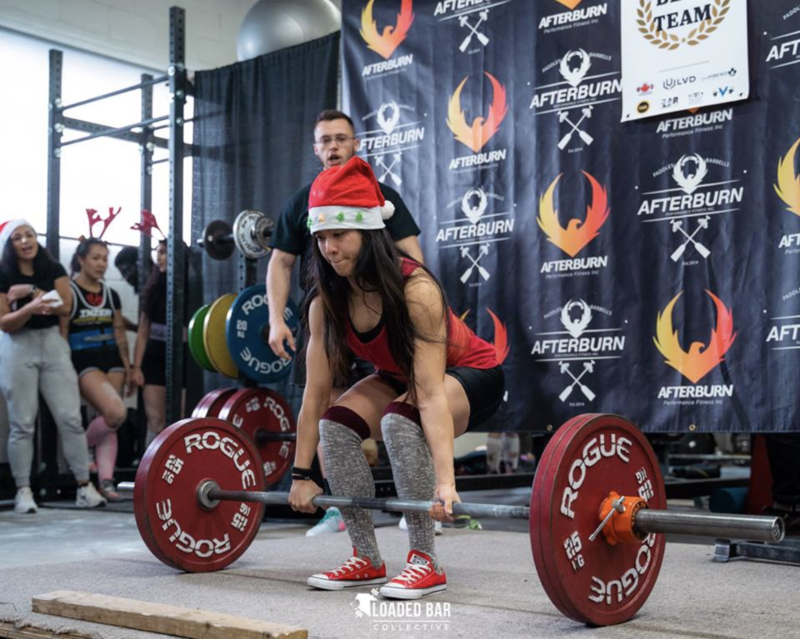 She has been involved with the fitness industry for over 8 years and continues to compete in Powerlifting and CrossFit events. Ginette cares. Cares if you show up, cares if you work hard, cares if you eat right, cares if you stretch, cares if you show up again 🙂 She will be helping with the After School Athlete program, Babes and Barbells and at the Front Desk plus much more.